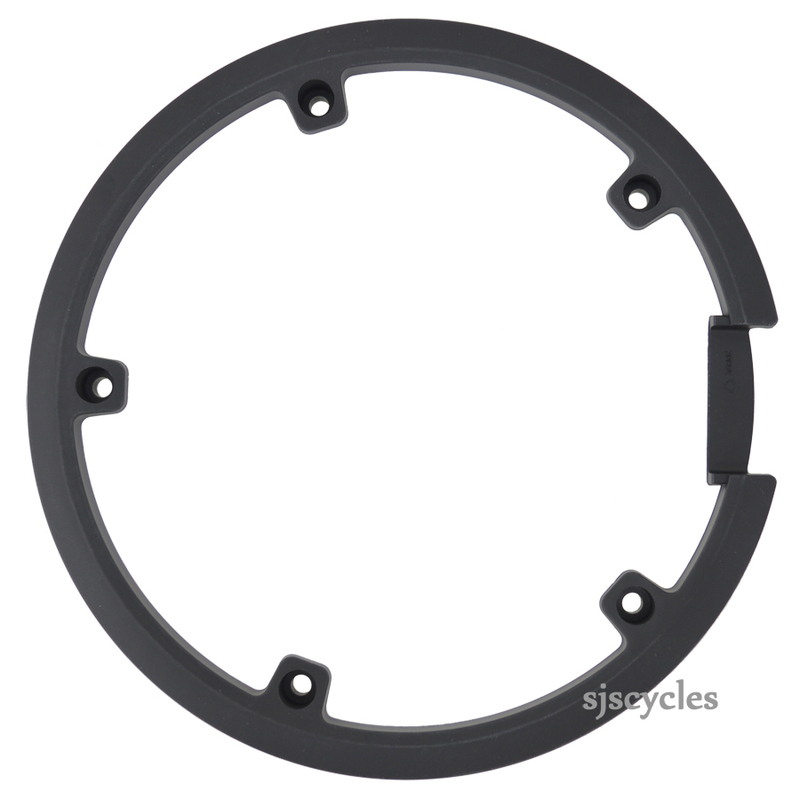 This Chain Guard can only be used with Shimano Claris FC-2450 8spd Double Chainsets with a 50-34T set up. Perfect for my B'twin Triban 500SE, just screw into the holes in the crankset to prevent oily trousers! Looks like holes in chainring will need tapping to fit guard. Can you confirm this, if so can you give me details of thread size of fixing bolts. So I can get tap set organised before ordering. Thanks. Although the bolts don't look like it, they should be self tapping bolts. You should be able to fit the chainguard without any previous tapping to the chainring.